The Community of St. Elizabeth Parish welcomes you as you come to plan the Baptism of your child. Arrangements for baptizing your child should be made as soon as possible after birth. Parents of children under seven years of age should contact the Pastoral Center to obtain information and sign up for one of the Baptism preparation classes. Both parents and godparents must attend the pre-baptismal class. Spanish baptisms are celebrated on the second Sunday of each month and English Baptisms on the third Sunday. The baptismal preparation classes are offered once a month in both English and Spanish. Parents should apply at least a month in advance for a baptism. Children of catechetical age (seven and older) who have not been baptized become part of the Children’s Catechumenate Program and prepare together with their parents and godparents for the Sacraments of Baptism and First Eucharist. Those who are juniors in High School enter the RCIA program to prepare for and receive all the Sacraments of Initiation: Baptism, First Eucharist, and Confirmation. The U. S. Conference of Catholic Bishops (USCCB) has a short, two-page handout that can help Catholics who are preparing for the sacrament of Baptism reflect on our Catholic call to mission in the world. We are making it available to you here. Simply click on: Baptism: Incorporated into Christ’s Body, Sent on Christ’s Mission (Also available en Español). 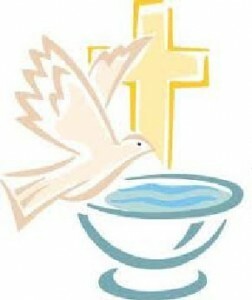 For more information on upcoming Baptism Preparation Classes, please contact the Pastoral Center at (626) 797-1167.